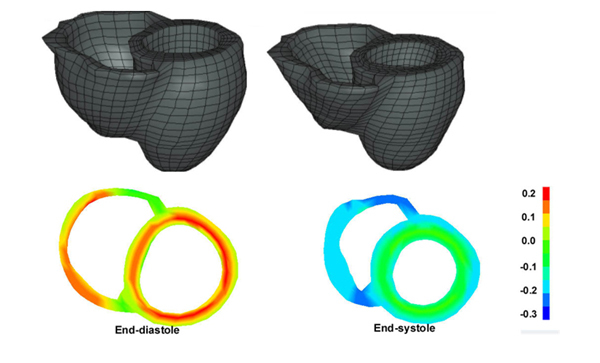 The bi-ventricular heart models can provide the ventricular coupling necessary to accurately model the end-diastolic and end-systolic stresses and strains. over the entire heart cycle. 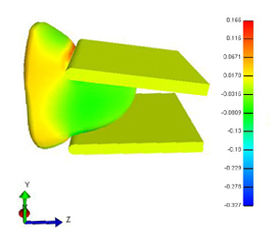 Strain contact analysis of the human breast undergoing a mammogram. 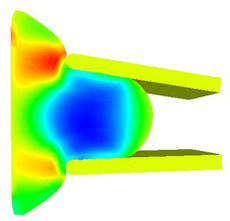 This model was designed to aid in the improvement of mammogram imaging.